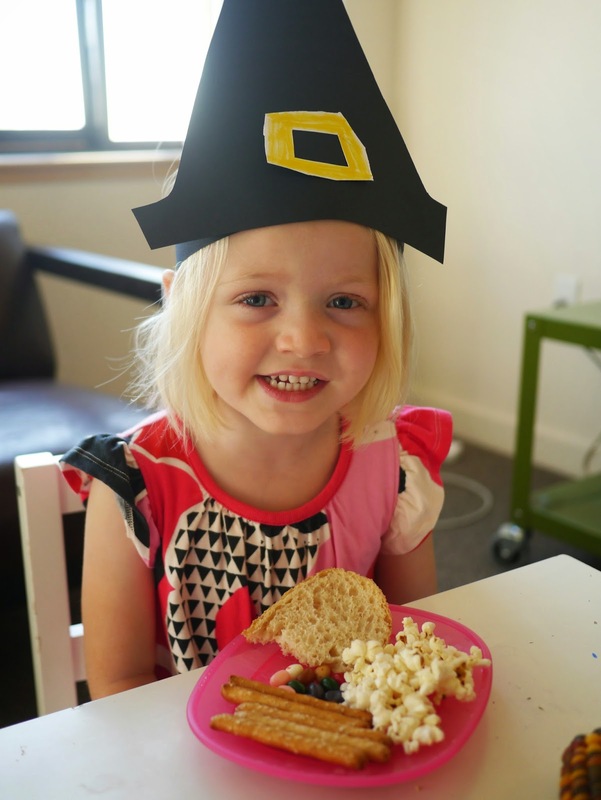 We celebrated Mathilde's first Thanksgiving with a lunch at our home with friends (also Australian expat). We ate and drank, then ate and drank, then ate some more! Turkey, mashed potato, brussel sprouts, sweet potato, pumpkin pie, pecan pie... Even Mathilde got into the spirit and ate turkey for the first time. It was pureed into an orange mush with pumpkin, but it was turkey none the less. Lola, however, isn't keen on turkey (or any of the sides) so she celebrated Thanksgiving in Snoopy style with a lunch of popcorn, toast, jellybeans and pretzel sticks, just like in A Charlie Brown Thanksgiving which the girls watched while we ate lunch. She eats well most of the time so I'm happy for her to have a treat lunch like this every now and then. Parties, no matter how small, are always better with costumes so the girls dressed up for the occasion. 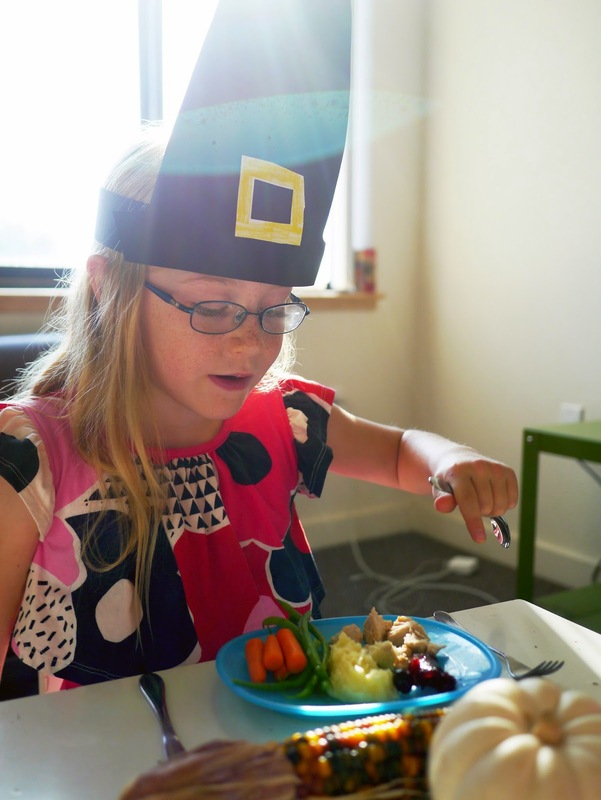 Ava made cardboard pilgrim hats for herself and Lola, and Mathilde wore a little feathered head dress. It was such a beautiful day yesterday so we moved up onto the rooftop to eat our pumpkin and pecan pies later in the day. We were treated to another spectacular sunset over the bay from the rooftop. Nature really does love to show off at this time of the year! I will never tire of that view. I hope that all of my American friends had a wonderful Thanksgiving yesterday with friends and families. Now to prepare for Christmas!